For a state that is famous for its slickrock desert country, Utah sure has a lot of whitewater adventures! Guess that’s because the mighty rivers of the Green and Colorado have spent thousands of years carving their way through the surrounding rock, resulting in vast canyons of astounding beauty. Where the native rock did not yield so easily, the rivers churn and tumble their way through, creating turbulent stretches of whitewater. For the earliest explorers, like mountain man William Ashley and explorer John Wesley Powell, this whitewater was often death-defying - crushing their wooden boats, dumping precious supplies and giving many a river pioneer the swim of their lives. In the early 1900’s, river-running techniques changed and challenging these notorious rapids became, well, fun. 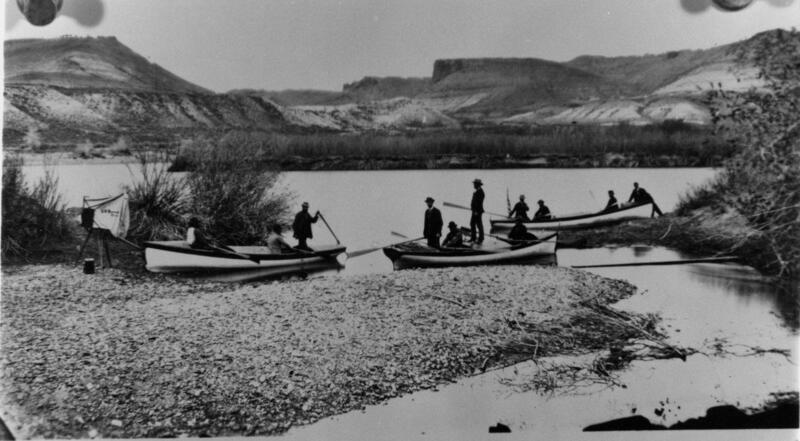 By the 1930’s, Utah natives were navigating rapids with ease, they even looked forward to it! Soon thereafter they began to take paying customers along and an industry was born. 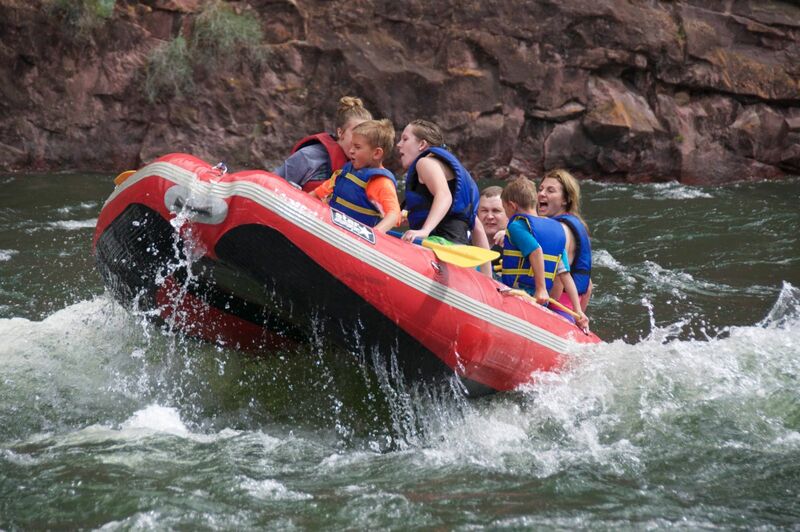 Today, whitewater rafting in Utah is a favorite family adventure. Lower in the state, visitors challenge the mighty rapids of the Colorado. Here in Flaming Gorge Country, our stretch of the Green offers so much more. Rather than the muddy waters of the south, where a bucketful of river water is more sand than liquid, the upper Green is still clear and cold, still fairly young from its high mountain sources. It supports diverse wildlife and a healthy population trout that offers world-class fishing in addition to its many floating opportunities. The canyon walls are brightly colored, beautifully contrasting with bright green box elders and stately ponderosa pine along its banks. 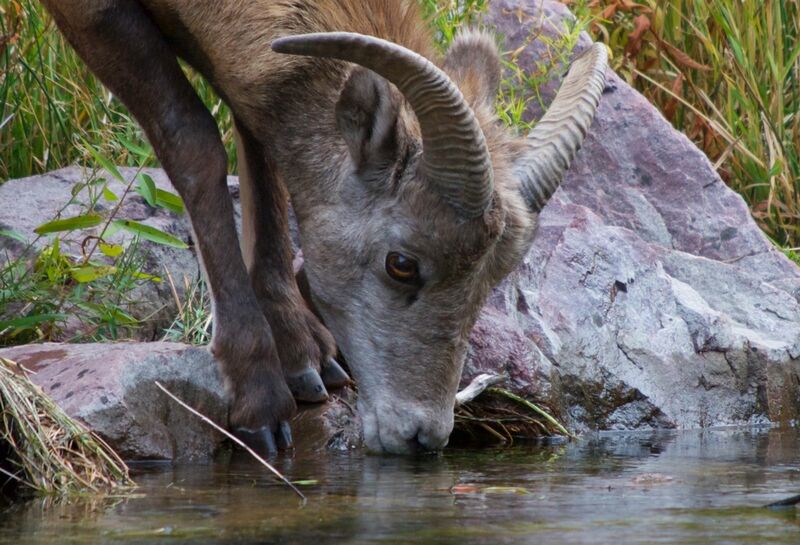 Along with the thousands of trout seen in the crystal clear water, the canyons are home to herds of Rocky Mountain bighorn sheep, Mule deer and elk. River otter and beaver still occupy its banks. The Green River is also one of the west’s major migratory bird routes and thousands of ducks, geese and other waterfowl are common. Floating the Green River (click here for the BLM Brochure) has become a great adventure for people of all ages. It is perfect for families, youth groups, or any that want to really experience one of nature’s great wonders. The Green River winds through multi-colored canyons with towering thousand foot walls, meanders through historic Browns Park and then gathers its strength at the imposing Gates of Lodore and tumbles through multiple rapids on its way to Split Mountain in Dinosaur National Monument. This section of the Green River does not require a permit for private floaters. It is divided into 3 sections; A, B, and C. Download a map of the Green River here. Below Little Hole, adventure takes another turn – here camping along the river is available at a multitude of float in river campsites. Besides one challenging rapid at Red Creek (which one may choose to portage), the river here is enjoyed more for its remote scenic beauty and world-class trout fishing. If you raft this section straight through you are looking at about a 5 hour float. This section is completely in the Browns Park area. Not a lot of people float this section unless they are fishing, but it is tranquil, beautiful and there are no real rapids. Multiple put-in and take-out points allow for trips of various lengths. Wildlife abounds here and part of the float is along a critical national wildlife refuge for waterfowl. Camping is allowed on this section of the river as well and the float time is 6-8 hours. In the first mile of this section, between Indian Crossing and Taylor Flat Bridge, is the John Jarvie Historical Site. It is located on the left side of the river and is a great place to stop and spend some time learning about the rich western history of the area. Proceeding downriver through the towering Gates of Lodore was a test of skill and daring for early day explorers like John Wesley Powell on his historic 1869 journey. The fact that he named one of the rapids – Disaster Falls – gives one a sense of how well he fared on this particular stretch. Today, this continues to be one of the west’s great whitewater adventures. A permit is required for challenging this section of the river. Several whitewater rafting outfitters offer multi-day trips through this rugged and remote area. This is big-time whitewater adventure through a very scenic area, virtually untouched by modern development. 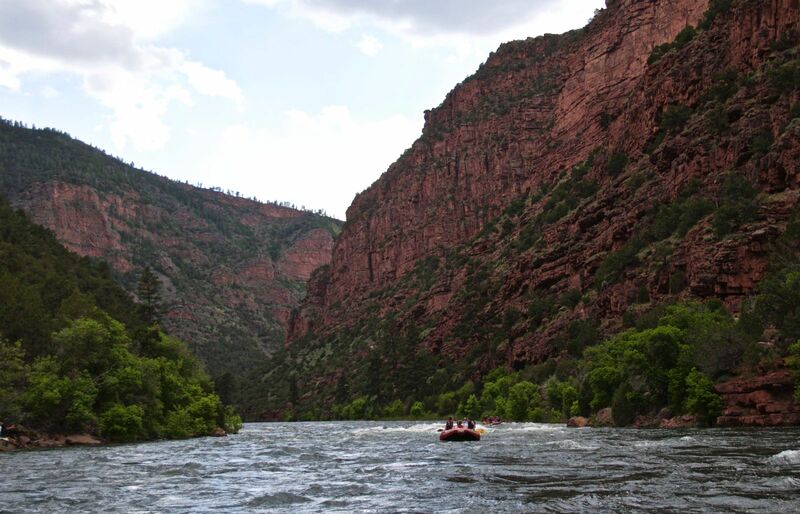 For those with less time on their hands, the one day rafting trip through Split Mountain Canyon in Dinosaur National Monument is a perfect family adventure! This 9 mile float is rich in scenery and has just enough whitewater to add a little excitement. The knowledgeable river guides will regal you with tales and a hearty picnic lunch. If you have never had the thrill of rocketing through some rapids, this is a highly recommended day trip for persons of all ages and abilities. 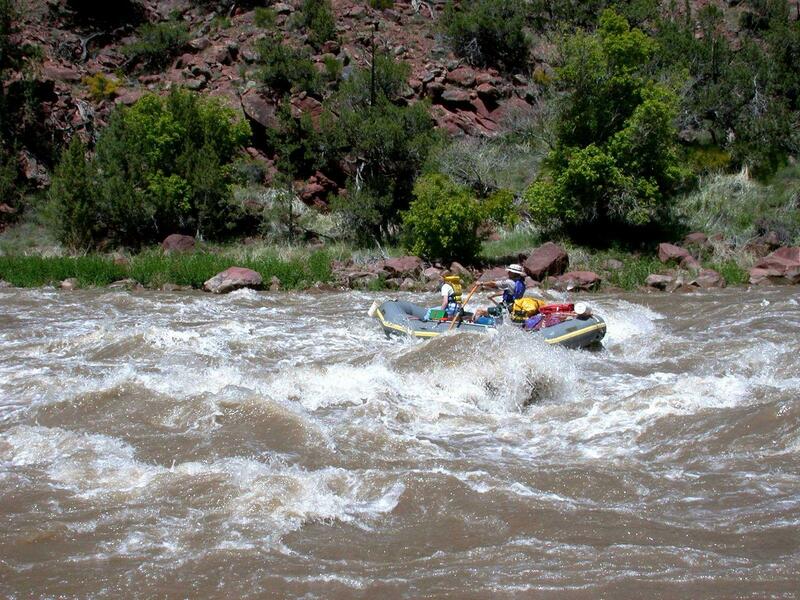 Thank you for visiting http://www.flaminggorgecountry.com/Rafting! Be sure and revisit flaminggorgecountry.com frequently for content updates and more.